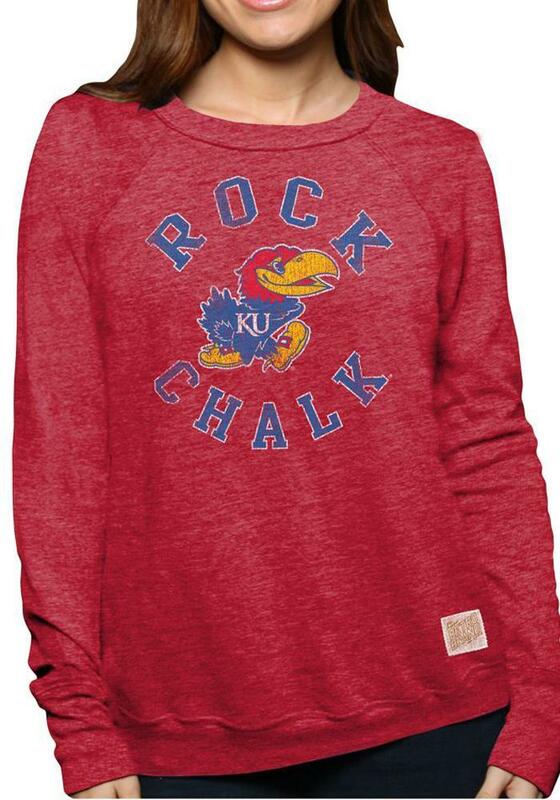 Make your way to the big game in this Kansas JayhawksJuniors Red Crew Blend Crew Sweatshirt! 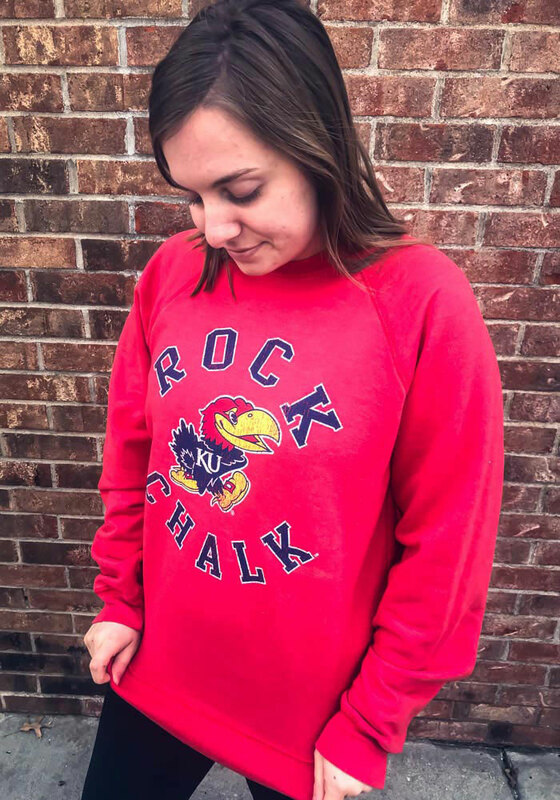 This Jayhawks Long Sleeve Sweatshirt features a crew neck collar, full length sleeves, and a team mascot graphic at the front. Stay warm and comfortable with this Juniors KU Jayhawks Jayhawks Crew Sweatshirt.